Edited: I wrote this post on Sunday following my trip to Boston. 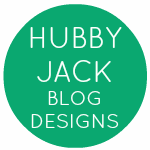 On Monday afternoon I watched the news of the Boston Marathon finish line bombing in horror with my husband. It it very hard to process our emotions knowing that we were right there having the best time just the day before. 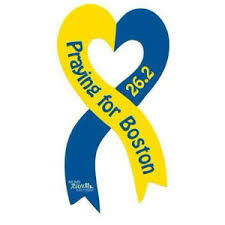 It breaks our hearts to see the celebration of the Boston Marathon turn into pain and tragedy. 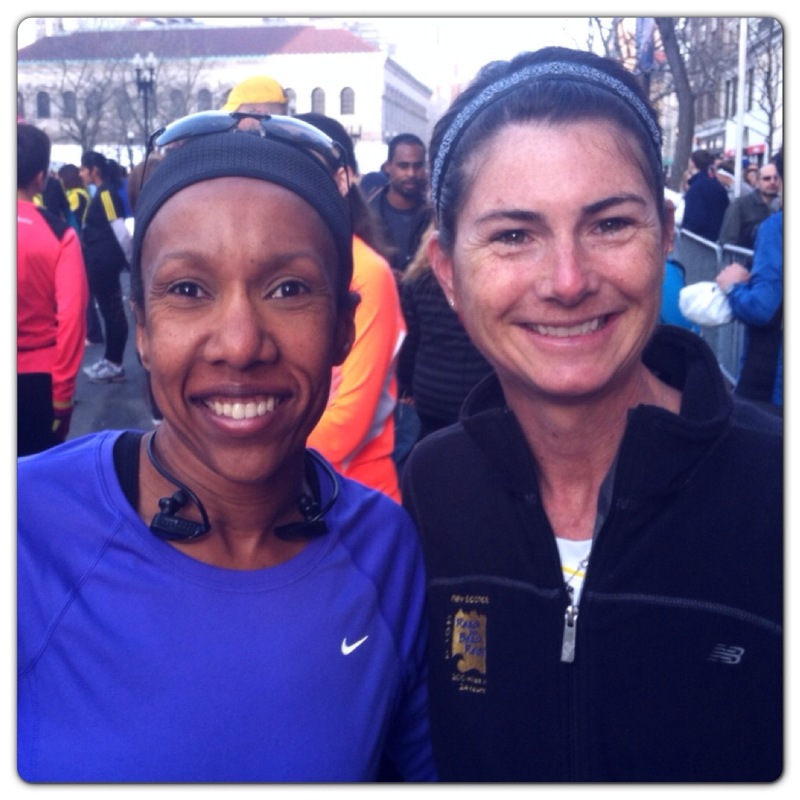 After logging our long run on Saturday morning, we headed to Boston. 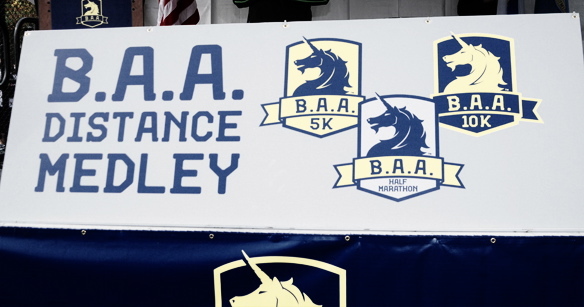 It was Marathon weekend and the kickoff to the 2nd annual BAA Distance Medley Series. The 5K race is the first in the series and happens to be held the day before the marathon. The first thing we did was check into the hotel. I love that my husband can accumulate points for stays through all his work travel. The hotel was nice and the best part was the view! 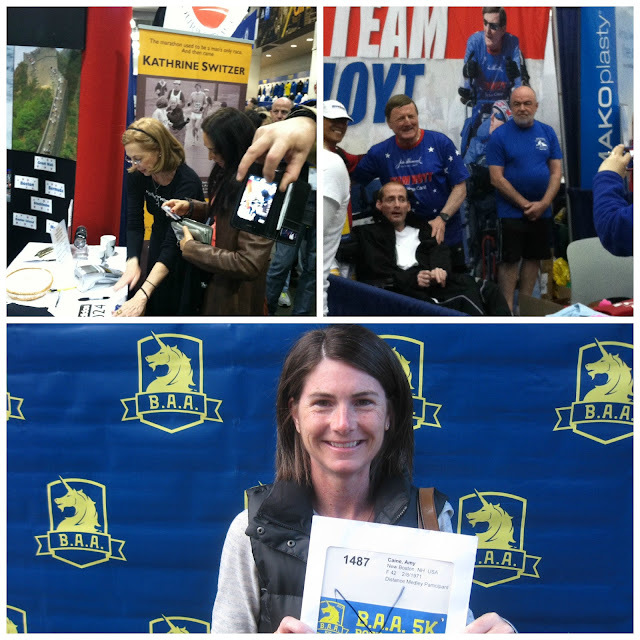 We made our way via the T to the Boston Marathon Expo being held at the Hynes Convention Center to pick up my bib and tee, and of course browse around. Although I thought the expo was smaller than last year, there was still a ton of inspiration to be found. We spotted Katherine Switzer, the first female to ever run the Boston Marathon wearing a number and Team Hoyt, the father and son duo who have been competing in marathons and triathlons since 1977. 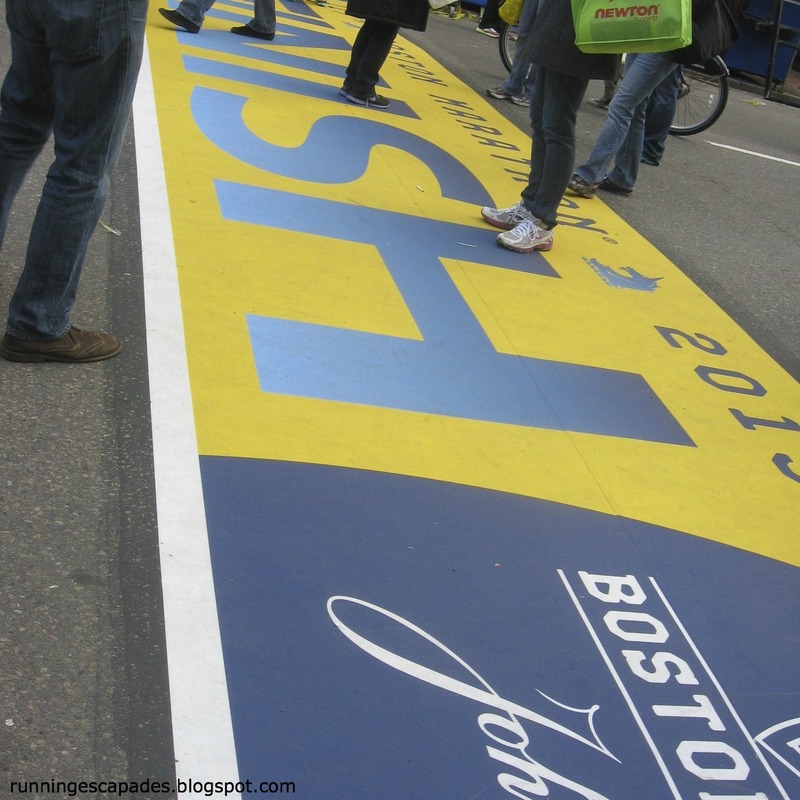 This year's expo location put visitors right at the finish line of the marathon. A few years ago we spectated the start of the marathon in Hopkinton, so I have seen the beginning and this weekend I was able to see the end. I love that the BAA closes off this part of the street so running enthusiasts can get such an up close and personal view of things. We milled around for a bit, had dinner at the Cactus Club, and then made our way back to the hotel to get organized for our early morning trek back to Boylston Street. And, I had to figure out what I would be wearing when I passed under the marathon photo bridge. We arrived about one hour prior to the race start and found some warmth in a large white bib distribution tent. The weather report predicted sunny and 45 degrees, but I could see that wasn't going to happen. Fortunately I brought along my MPG capris and found a friendly restaurant that let me use their large restroom to change. Thanks Boloco! A last minute long sleeve tee purchase finished off my new outfit for the day. After properly layering my outfit, we made our way to the corral where hubs said he would hang with me until the start. 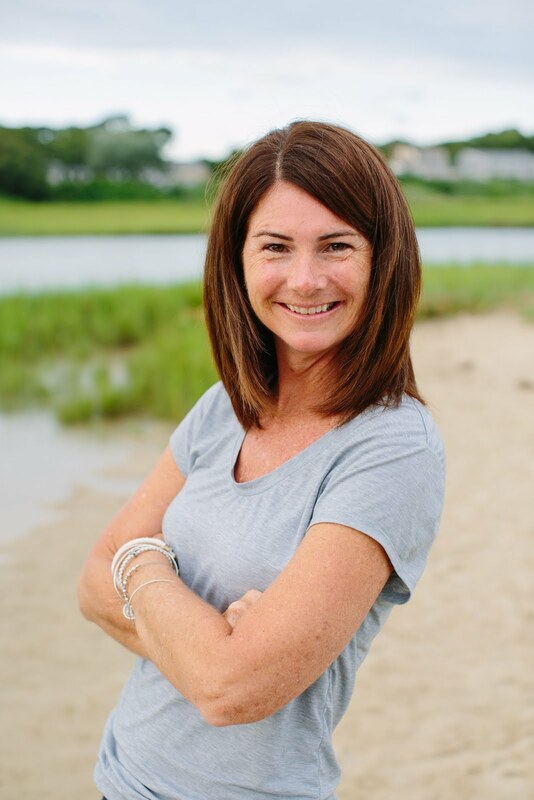 We missed meeting up with a group of runner-blogger-FitFluential friends on Saturday and I didn't think I would ever find anyone in the crowd, but then there was Michelle! She was hanging out with her cheering section too. This 5K was a crowded race. More than 5000 runners participated and in the short 3.1 miles, it was hard to find an "opening" to settle into a regular pace. This is not the kind of race that I attempt to PR. There's just no room to move when you're in the middle of the pack. A glimpse of the finish looks a lot like the crowd at the start. 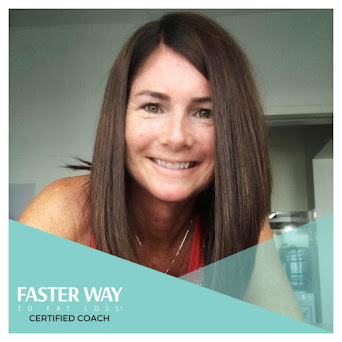 After crossing THE finish line, I made my way through the finish coral, received a 5K medal, a bag of snacks, and an energetic congratulations. I'm happy with my finish time of 28:34, but even happier to get negative splits (939, 905, 841)! 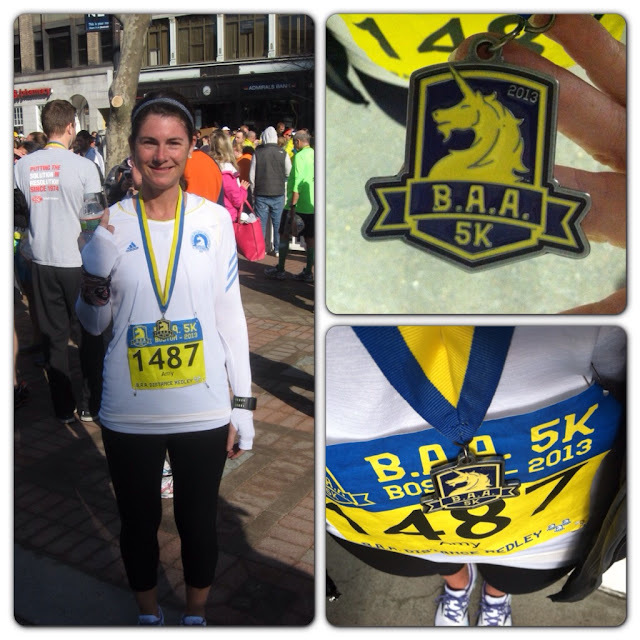 I'll be back in June for the BAA 10K. Congrats to all the finishers of the 5K! 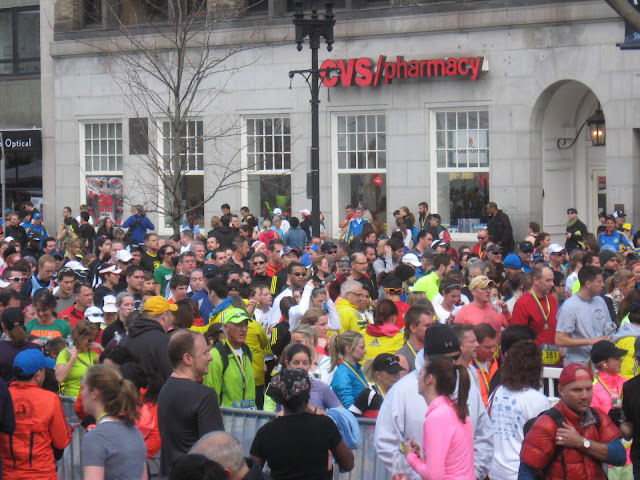 Edited: The events at the Boston Marathon finish line are heartbreaking, but the running community will not let it diminish what the runners accomplished that day and the world will never forget the acts of heroism that followed. I'm glad you can focus on the positives of the weekend...they are definitely there and they will help us all heal. I hope everyone who was in Boston on Monday can too. It says it all, doesn't it? Yes, it's just terrible. I hope, at some point, that running will bring solace to those affected. OMG, I'm glad you your hubby and Michelle made it back safely. I'm glad you guys aren't running the marathon. R.I.P. to all those who lost their lives.